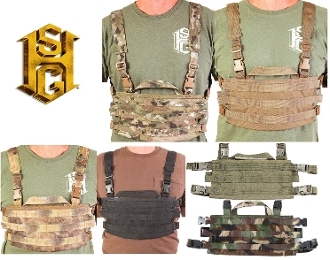 The AO Small Chest Rig is feature rich and won't break the bank! The front panel was constructed with three rows and eight columns of MOLLE webbing for mounting pouches. The panel has openings to store paperwork or maps.